I read this article and found it very interesting, thought it might be something for you. The article is called News release: Hoffman stands up to Patriot Prayer and is located at https://votesocialism.com/news-release-hoffman-stand-up-to-patriot-prayer/. There are two people who could not be more different challenging 17-year incumbent Maria Cantwell in her bid to keep her U.S. Senate seat this year. Steve Hoffman, candidate of the Freedom Socialist Party (FSP), is a union militant and feminist in the front ranks of opposition to the far right. His record stretches back to participation in the United Front Against Fascism, which organized successfully to stop ultra-right attempts to create an “Aryan nation” in the Pacific Northwest in the late 1980s and 1990s. 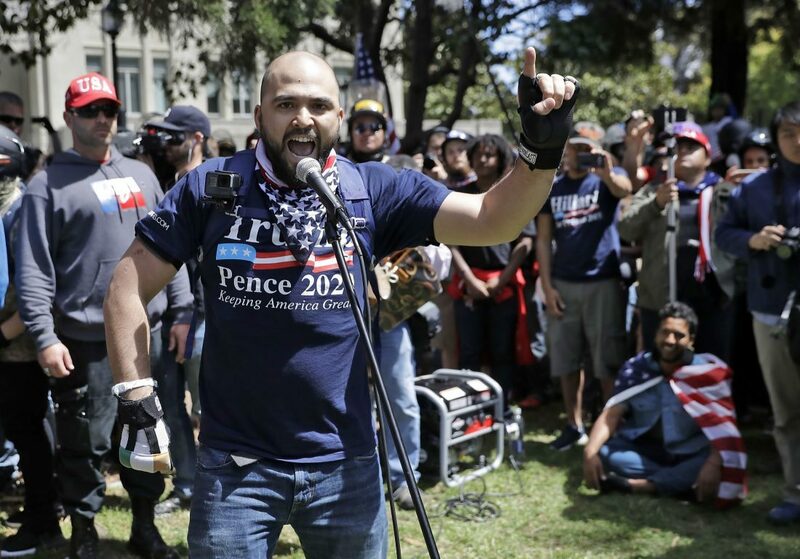 Joey Gibson, running as a pro-Trump Republican, is the leader of the right-wing Patriot Prayer, which calls for a return to the spirit of “Western chauvinism” and whose rallies regularly attract neo-Nazis and white supremacists. In June 2017 at Seattle City Hall, Hoffman was among a large, loud, determined throng protesting an anti-Muslim rally headed by Gibson. Members of ultra-right groups, including the misogynist, white nationalist Proud Boys, attacked counter-demonstrators as they left the area. Hoffman also led efforts in his union, Washington Federation of State Employees (WFSE) Local 304, to endorse a unified counter-protest organized to respond to a Gibson rally on August 13 at Westlake Park. Hoffman was the keynote speaker at a rally at Denny Park held before the crowd of thousands marched toward Westlake to confront Patriot Prayer and the fascist groups who accompany them. Seattle police blocked the mass of protesters from reaching Westlake. In September, Hoffman was key to passage of a resolution by statewide WFSE that called for joining with others to “stop attacks on immigrants, Muslims and Jews, refugees, people of color, women, activists, LGBTQIA+, the poor, and labor.” And at the January 2018 Seattle Women’s March, newly announced candidate Hoffman was part of a group that successfully challenged Patriot Prayer members attempting to disrupt the rally with anti-abortion signs and sexist shouts at participants. “Joey Gibson hides behind the guise of Christian patriotism and claims he stands for love. But then why is he a magnet for far-right militia groups like the Proud Boys, who advocate violence against organizations and individuals who promote racial, sexual, religious and gender equality?” questioned Hoffman. Hoffman is a union shop steward, a representative for his union to the Martin Luther King County Labor Council, and a member of FSP’s elected national leadership. His endorsers include WFSE Local 304, Organized Workers for Labor Solidarity, and Radical Women. To learn more about his campaign, visit facebook.com/Advocates4Hoffman/ or call 206-722-2453 to schedule an interview.